W.O. 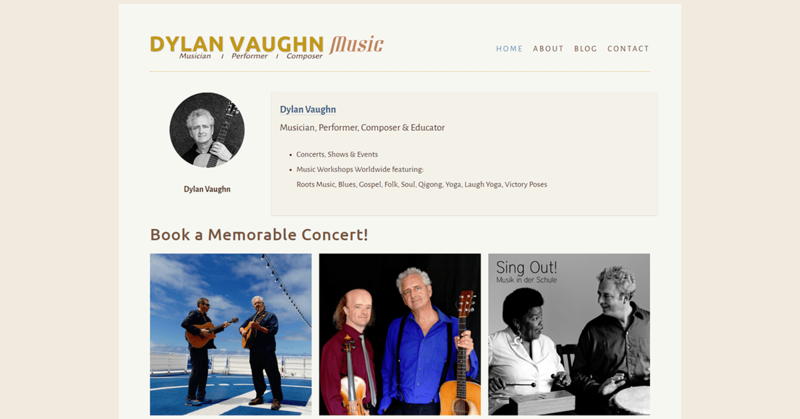 Danielson Construction Company Ltd.
Dylan Vaughn is a musician, performer, composer and educator based in Hamburg, Germany. 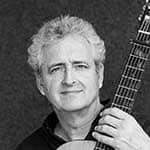 He’s a classically trained guitarist that performing concerts, shows and special events with partners and small ensembles around Europe and the world. They play a variety of styles from roots music to blues, gospel, folk and soul. When he approached us for help he had an existing website that needed a complete reboot. The content was not descriptive of his current career focus. It didn’t promote him well at all, and there were no clear calls to action to encourage show producers to hire him. Overall, the old site didn’t have clear and complete messages to express a compelling personal brand for Dylan. The visual styles were dated. And the site was not readable or usable on modern mobile screen sizes. NOTE: Clients can alter websites after site launch. Site screenshots here show the website as originally designed. 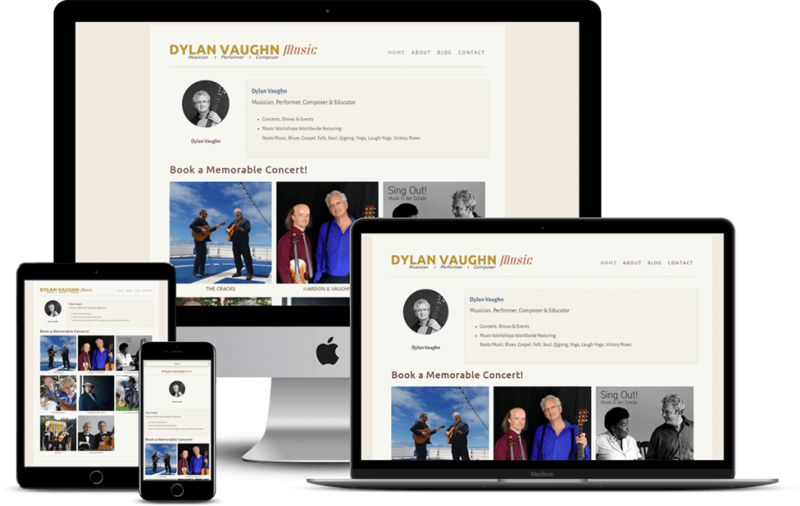 Although we specialize in WordPress websites, Dylan specifically asked us to build his new Dylan Vaughn Music site on the Squarespace service. He intended to use the new website as a ‘brochure site’: handing out the site address over email, on the phone, business cards and show promotion documents. So he felt he didn’t need the more advanced customization and marketing power of WordPress. He was also drawn to the convenience of small yearly payments and relatively easy content updates. He was fine with the tradeoffs of ‘all-in-one’ services like Squarespace: the lack of flexibility, lack of customization options, lack of complete ownership over the site and content, and watered down marketing options. He also had a deadline to get the site up and running in a tight timeline of 4 weeks. We recommended an accelerated set of discovery and brand meetings to uncover his core messages and get the content ready for his site as quickly as possible. "Working with Josh was easy. His concepts for creating an individual look for my website were spot on. At the same time he was always asking for my ideas and promoting my career wishes. He is meticulous, conscientious, and likes to work quickly. He's genuinely interested in being of benefit and giving the best of his knowledge to his clients!" We had a series of meetings to ensure we had all the essential information his site visitors would expect to find. We planned for all necessary site pages. We created a UX Site Map to display the new pages and structural relationships. We discussed his professional identity, career vision and values, and his ideal client's problems and goals when hiring musicians. We found the most important messages to highlight onsite to persuade show producers to hire him. We used the essence of our Brand Strategy conversations, along with best practice web copywriting principles, to carefully edit and plan the copy for each of the new pages on the site. The page building principles that encourage producers to contact him for bookings are the same on any platform: tell an easy to read story, answer their most important questions persuasively, and have obvious calls to action to contact him. 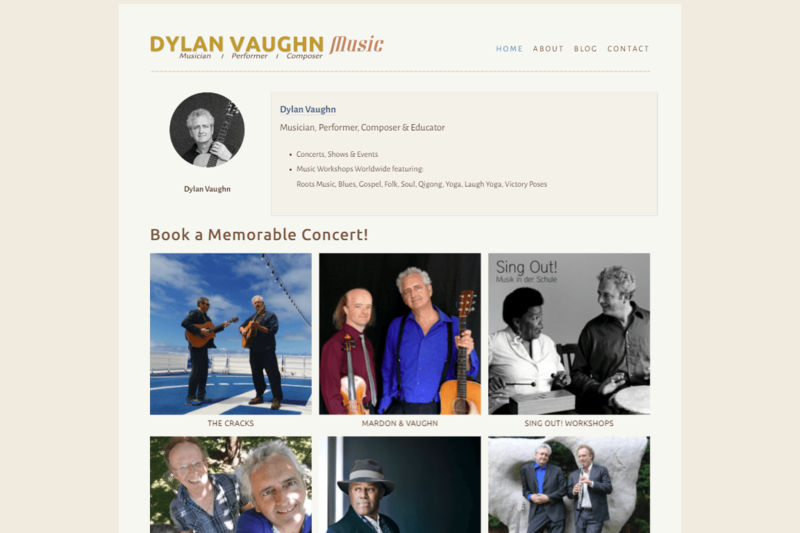 We designed new banner and badge logo options for Dylan Vaughn Music, and some Style Tile variations that presented options for fonts, colors, and other visual styles to professionally represent his personal brand. 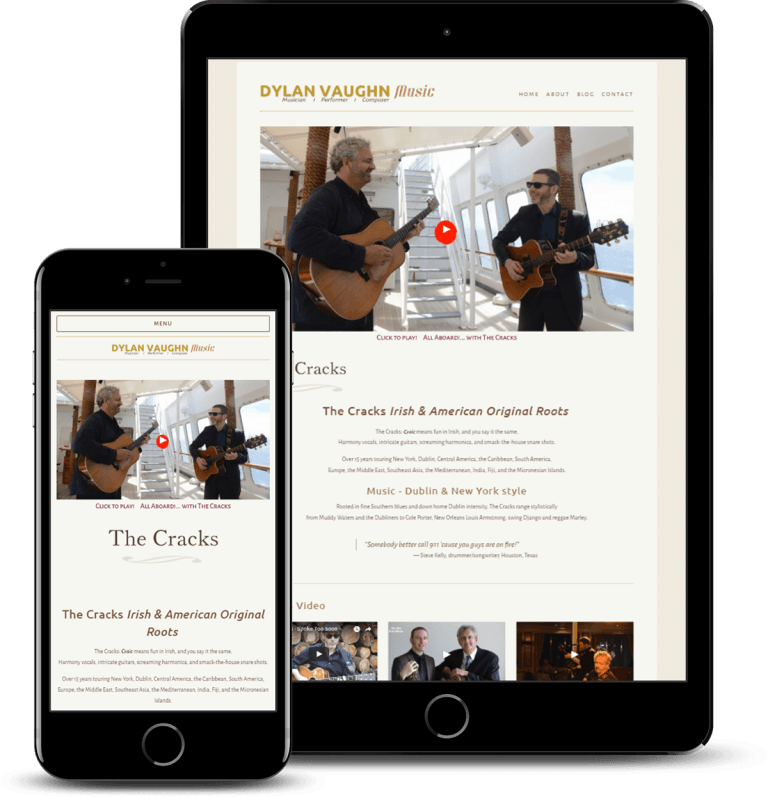 Dylan chose a Squarespace theme from a small set of options we presented. Options are limited compared to WordPress, but we used CSS code to create the site design as planned. As always, we were glad to educate, coach, and answer Dylan's questions all throughout the project and we continue to do so throughout our ongoing business relationship. 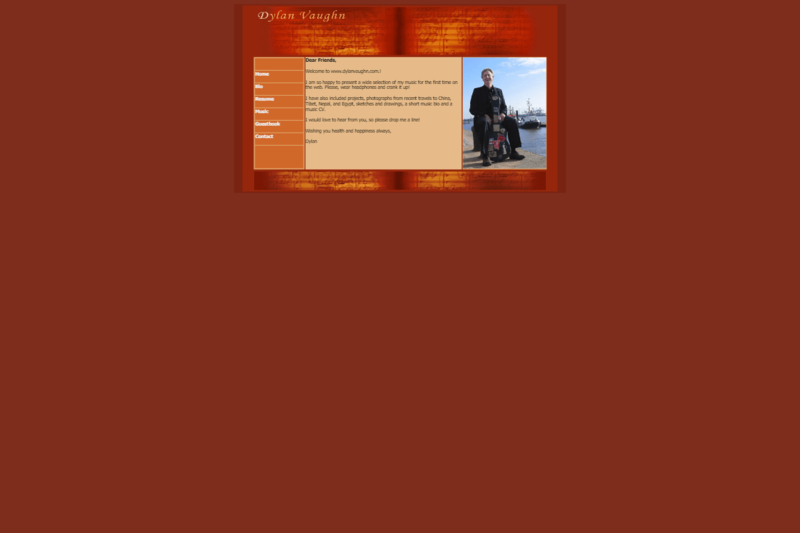 Dylan is proud of and impressed with his new professionally planned and designed website. So are the show producers he’s been showing it to in their business conversations. He began booking new jobs soon after he began showing it to prospective employers. The site continues to be a source of new work for him – because it is a clear, complete and compelling representation of his professionalism in the music industry, and the value he consistently delivers to his partners, employers and audiences. "Josh gave me great advice about creating a uniform look and keeping the site as easy to read as possible. Now when people call me for work, they can see my track record of recording, writing, performing all over the world. I get work based on the trust that I can deliver based on my experience, and the website is a great tool to show people what I do!" Ready to bring your website up to modern standards at a great price?